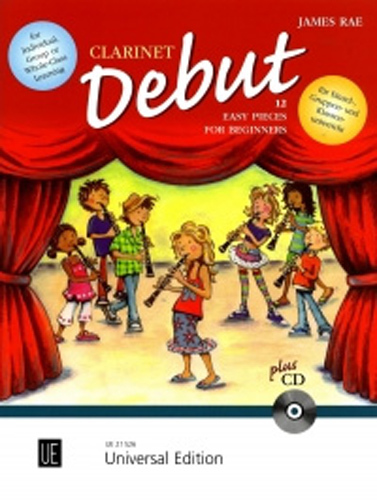 Clarinet Debut Rae Book and CD. This collection of twelve very easy original pieces was written with the aim of providing players in the earliest stage of their musical development with solo and group performance material. Although very elementary, the pieces are composed in a wide variety of styles in order to provide a well balanced musical diet for the young performer. All the pieces are in the low register using mostly left hand notes.